Home / Celebrity Big Brother 2 / Celebrity Big Brother 2 – Live Eviction Spoilers! We’re on now! Our week of getting to know the cast was all fun, but things get real after tonight because we’re going to go from 11 houseguests to 2 in just 19 days! 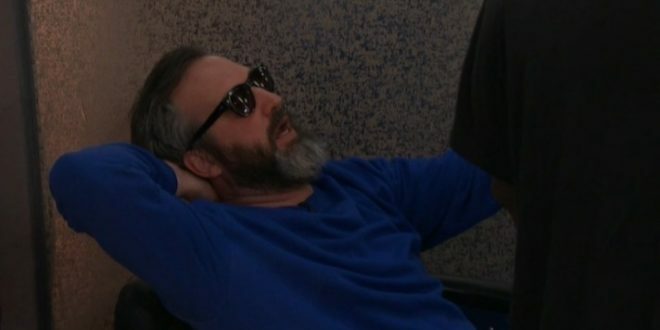 Expect an eviction every other episode on CBS now which will average to about 2 a week over the next two weeks until the final few days when they’ll knock off a solid 5 or so between the double eviction and the finale night. Also, it appears the HoH competition will play out on the live feeds after the episode, so be sure to get them here. 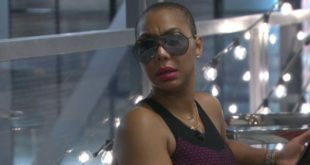 This afternoon, there was a little bit of drama between Ricky and Tamar and then that carried over to Tamar and Natalie (Eva). I’m pretty sure it was because Tamar wanted to go skiing but Ricky told her there is no skiing available in Los Angeles. This created a big argument between the two and she put on her ski goggles to prove the point how much she really wants to go. I’m kidding. 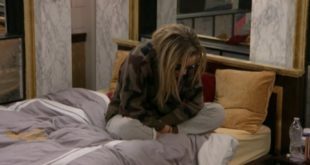 Tamar told Ricky that he’s been overly aggressive recently and he snapped at her about it (which proved her point) and that set Tamar off for about an hour or so. Things are growing to the boiling point in the Big Brother house, so it could be a fun weekend! Jonathan is the first evicted ‘celebrity’. It’s always amazing the things this house does to people. It only takes a few days and everyone gossips and becomes so paranoid and house centric. I love it. Dina has certainly surprised me. I remember those days, when someone on the last thread referred to her as a “hot mess”. She was, glad to see she has learned and grown. I’m also glad that Kandi doesn’t feed into Tamar’s BS. Actually, the only 2 people in the house who seems to not only doesn’t cause trouble and drama but tries to avoid it, are Kandi and Dina. I think Eva and Lolo are only acting like they are buddies with Tay-Tay. I think they’d give her the boot in a moment. I think Lolo actually likes her, other than her constant rants about Kandi of coarse. She will change her mind when Tantrum turns her focus to Lolo again. Thx NK. It was a mistype on another thread and it got, so I’ve kept it. I wonder if LOlO might pull a Bayleigh and just go for it with someone in the house? The Mooch thing is sooooo bogus by CBS. I think CBS prepared for this occasion with every HG! They have a secret veto comp in case several self evict. I have held back as long as I can STFU Tamar. I can see that too, but Rodman is a bit more chillax. So, I guess the “fake news” that Kato won POV and pulled Tom off of the block wasn’t so fake after all. I was glad it wasn’t more fake news.LOL I apologized and everything.Now,I can take it back. I like the 3 people on the block concept. I can honestly say before CBB I had never heard of Jonathan so his going really not a big deal for me. I wasn’t sad to see him leave. Being OTB made him paranoid. After or during his interview with Julie, he was SOO self absorbed! I didn’t like how he thinks he’s the mastermind and blames Ryan for his departure! Ryan was his only true friend. If anything, he has messed with Ryan’s game not the other way around. And unfortunately, Ryan isn’t bright enough to turn things around. Unless he wins the veto, he is gone next. 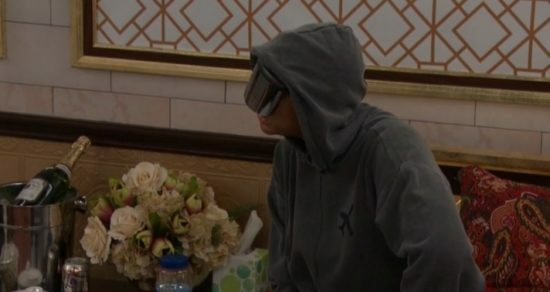 Ryan is about as sharp as a butter knife but I do feel sorry for him he got the Cody card where he had to keep putting people on the block that is tough enough to recover from on the regular BB on these mini editions all but impossible. I didn’t recognize Jon from Mean Girls until it came up on the show. I do remember him from Cupcake Wars on the Food Network though. I didn’t know him either,so I’m ok that he’s gone. I’m so not used to this schedule! Missed the first half! What’s the deal with mooch??? First half of what? The season, or this past show? Mooch was a plant Happy. He was never really a HG. ‘it was like trying to get puppies to face the same way’ hahaha. I don’t think it matters nor would it change anything. Everyone would understand either way. But let Kandi ask Ms Tantrum, it will be on then! I’m pretty sure everyone there know how close Dina and Jon were. I don’t think Dina will hide her vote. She didn’t try to hide it. Tamar joins the list of people I hope I never have to see another day in life! She joins Frankie, Paul, and Marisa, Tamar is loud and obnoxious for no reason. I hope she is next to go! I’d like to see Ms Tantrum and J Lo OTB together next!